Let’s look at her house now! It’s in Nashville, Tennessee. It’s got 5,601 square feet with 4 bedrooms, 4 1/2 baths. It cost $2.5 million. That sounds like a lot of money to me! The house was built in the 1930s. It’s called the Northumberland Estate. I love this staircase. And the mirrors on the wall are beautiful! The chandelier is beautiful. I wish I had one of those for my own dining room. Taylor’s favorite is white, so I wonder if she’ll paint this room white instead of black? This is Taylor’s bedroom, I think. I love the windows! My favorite song by Taylor Swift is called “You Belong with Me.” You can watch the video of it on YouTube. Oh, my gosh, I wish I had a pool like this! Did you like her house? I did! 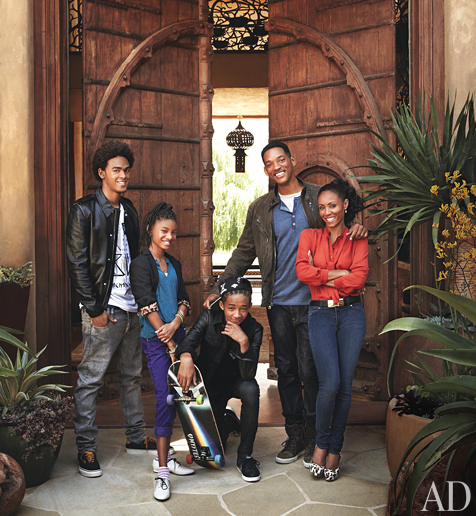 You can see the rest of the photos at Casa Sugar, or check out more Celebrity Houses here. Note from Mom: Thanks to Lily for taking over my blog for the day. She did a great job! 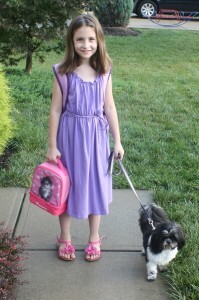 Here’s a photo of her (and Maizie) heading to the bus stop on her first day of school last week. She has her own invitation-only blog that she works very hard on for her friends to read. She says she wants to be a professional blogger and a rescue-pet foster mom someday. 9/2/11 Update: A little birdie tells me that Taylor may have bought this house for her mom. Isn’t that nice? Awwwwww! So adorable! And I love Taylor Swift’s house too Lily. I wish I had that pool and sunroom! Well done, Lily! I love Taylor’s music (and her house) too! I can’t decide which I like better…her pool or that terrific stairway with the black and white floor. Thanks for sharing this with us! Lily did a fabulous job! I imagine she’ll achieve anything she wants to. Lily, Loved you post, I love Taylor Swift, too 🙂 Her home is beautiful, maybe she will let someone take pics if she re-paints that black room! Have a great school year, and tell your mom I love her blog, too! lily, you did a great job. i have a 12 year old who loves taylor swift and i will show her you’re blogging when she gets home from school today. GREAT JOB! Wonderful job! And my granddaughter – Gianna loved it too! She is 10 years old. She’s only 1 year older than me! Tell Her I said Hi! Great job Lily! And wow, Taylor sure has amazing taste! I think I might write about her home for my blog too. Keep up writing because I can tell you are very good at it! Pieter from Amsterdam, the Netherlands. That’s the sweetest compliment ever, I’m sure… she wants to be just like you. How precious. Also, she did a great job today! Thanks, Lily, for sharing about Taylor Swift! Lily, what a fabulous post! Taylor’s new house is beautiful…I like her pool too! She is one Lucky Lady!I really want that pool… but I won’t be able to put it anywhere but my front yard,though. Great job Lily!! You beautifully described each room. I know your mom is so proud! Please tell her that you need to write more posts! Thank you for a fun blog Lily. I am a big fan of Taylor Swift and I really enjoyed seeing her house. I especially like the sun room! Lily is a rockstar in her right. Well done! And I think Taylor’s $2.5 million new house is appropriately modest for Taylor at her age, considering what she could have afforded. This is so sweet, Julia! So nice to read a post from your daughter! Thank you, Lily! I love Taylor Swift, too. And her house is gorgeous! Thank you for showing it to me! Your Welcome! I enjoyed writing it and reading all of the wonderful comments! I am with you, Lily! She made a great choice buying this house. Congratulations on your blog writing- you are very good. Your Biography project was excellent, too. I should know, I am an English teacher! Have a great day! Hey Girl! Great job on the post. 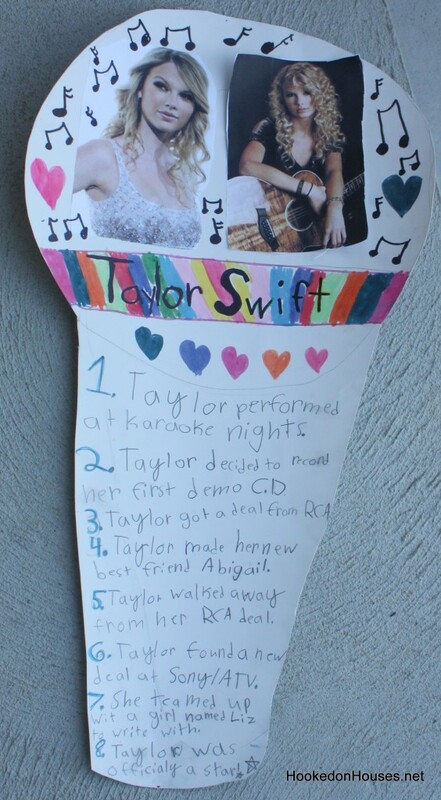 My son Andrew is almost 9 and is a huge Taylor Swift fan as well. When he get’s home from school I’m going to have to show him your post. Lily, thanks for sharing Taylor’s home and all that great information. I like her songs, too…so this was so much fun to read! You did a great job taking over for your Mom today! Maizie is so cute. 🙂 Hope you have a fabulous school year! Your Welcome!I like her Songs too,my favorite is “You Belong With Me”. I never leave comments but, after the wonderful job that Lilly has done I felt that she deserved all the recognition and comments that we all could give. Lilly honey you have done a wonderful job and I believe you have the gift to be a great righter one day! Hi, Lily! I love Taylor’s new house and you’re right, she could totally use that piano. I hope it stays with the house. Your report was very informative, too. I didn’t know those things about Taylor Swift at all. I hope your mom lets you guest blog again! I hope that she keeps the piano too.Since She is a singer,she’ll probably keep it. Great job, Lily. What I like best about Taylor is that she worked very hard to get where she is in her career. Besides performing, she has written most of the songs, made a lot of the outfits, decorated the stage, and many other jobs to make the performance happen. She’s a great inspiration to everyone. I loved seeing the house. Great post Lily! And I enjoyed looking around Taylor Swift’s house. I like the marble floors, and the pool is beautiful! Great job on the biography you did of her. 🙂 I bet she could fit a pretty big cheesecake in that fridge. Well done on your post! I love Taylor too, and wow that house is awesome! Good job Lily, I love the creative microphone essay ! Taylor is very smart to buy real estate. Remember all young ladies out there…stay in school, have a career that you love and use the money earned from that to buy houses. Then maybe decide to have a boyfriend. That was one of the sweetest posts ever. I loved every word of it! and that house… Amazing!! Nice post Lily! You did a grand job showing us Taylor’s new home. Excellent post, Lily. We are big Taylor Swift fans, too (my daughters are 14 and 18). You are a very good writer, and I appreciate your taking the time to write such an awesome post about Taylor’s new home in Nashville. Great job, Lily! My daughter is 9 years old and is a HUGE Taylor Swift fan, too. Lily Great Job Girl!! You gave us a great tour and some facts I did not know about Taylor! Come and join my new fashion Giveaway from Fresh Produce! They have kids clothes that are so fun! Thanks for writing about Taylor Swift’s house, you did a great job Lily! I think her home is really beautiful, a lot of dark rooms but the bones are great. I would be happy with just the pool really! Wonderful post! This is one of my favorite blogs…and today it exceeded my expectations! Have a wonderful school year! Lily….you did an amazing job ……I really enjoyed seeing Taylor Swift’s new home….so pretty…my favorite rooms were the kitchen and the entry…..the pool wasn’t too shabby either!!!! Fantastic job Lily! My daughter’s name is Taylor. 🙂 I like the suggestions you have for Taylor Swift’s new house. Kudos Lily. Enjoyed your piece on Taylor and loved the microphone! Have a great school year. My 8 year old and I are a HUGE Taylor fan! Thank you so much Lily for posting all this great info! We love how your report on TS was done on a cut out of a microphone….VERY CLEVER! P.S. I hear that TS’s concert is awesome! Julia, that was adorable. What a cute little lady you have! I bet she loved doing this too. GREAT JOB, Lily! Lots of wonderful info about Taylor Swift and I loved your descriptions of her new home, too. Wow, Lily, I thought you were your Mom writing – you did such a good job! I love Taylor’s house, and think it’s awesome that you are a fan of Taylor Swift! I am, too. She is beautiful, a great role model, and a great musician. I hope you come back and share more houses with us sometime! Beautiful home, I just wished I could have done her custom entry doors with the staircase and balcony railings!! You did a great job as the guest blogger today!! 🙂 I’m so glad your mom got her site back up and running otherwise we would have all missed out on your post!! 🙂 I heard that you and Elly got to spend some more time together this summer. I’m sure you had fun together playing with Mazie. I need to post some pictures of my puppy Mattie so you can see her. Well, Lily, I hope you’ve had a great first few days of school!! Thanks for a great post, Lily! I am also curious about how she will change things to suit her tastes. I think that library would look beautiful painted white (and a bit more feminine too)! I hope you will post again if you get info. as she changes things! Hi Lily! You did a great job on your mom’s blog, and I totally agree with your comments, what a beautiful home for Taylor Swift. Thank you, Lily! This was a very informative post, and I can’t wait to show it to my Morgan who is also a Taylor Swift fan. Wow! Great job, Lily. We love Taylor at our house, too. My daughter just graduated 8th grade and her gift was a Taylor concert at Prudential Center in Newark. I had to go, of course,with one friend,and it was great! I love that she writes all of her own songs. My favorite (for today) is “Dear John”. I thought her house would be more pink and girly, maybe she will redecorate.Keep writing –loved your post…..
What a beautiful home and some interesting facts about Taylor Swift. Thanks for showing us around! Great job! I love your cute pink sandals too. Lily — great job (and name too!). Taylor’s house is lovely. I wouldn’t mind a pool like that either! Just to say your blog gets better and better, you are my salvation and my place of escape! I have just started a blog, simplethingsmakeushappy, and have added a link (and a recommendation) to your site, everyone should get to enjoy it! PS — Loved the ‘microphone’ assignment; VERY creative, and I’m pretty sure that Taylor Swift would agree! Great job, Lilly! I hope you got an A.
I would love to have her refrigerator — except when it comes time to clean it. That would be a BIG job. Absolutely gorgeous home. From the architecture to the interior design this home is perfect. I especially love the kitchen & dining room. Hi Lilly, thank you for the awesome Blog about Taylor Swift’s beautiful new home! You did an amazing job and I loved learning all those interesting facts….especially the really important one….CHEESE CAKE!!! Yum! You did such a wonderful job, maybe she will invite you back to see and write about all the changes she makes! Wouldn’t that be cool?!? A professional job! Well done Lily. I liked the previously written microphone shaped biography which acquainted me with facts I did not know about Taylor Swift. She has caught my ear from the first time I heard her. Hope you will do with your words ability what she has done with her voice, entertain. With your talent, you are also able to inform & educate too! Looking forward to more of your competent writing in the future. Lily – I can’t say it any better than the above comments. I enjoyed this very much. Thanks! Also, thanks to your mom for letting you take over for this one. I hope you do it again sometime! Hi Lily, what a great guest blogger you are. I really enjoyed your post. I would love to see more posts of people you are interested in…. Great descriptions and run down on her new house Lily! Didn’t she also buy a penthouse in Nashville about a year ago? And it has a waterfall or some other outstanding feature? It was so nice to read the post that you did on Taylor.You did a fantastic job.I hope you have a few more posts that you can do for us in the future.It was so nice of your Mom to let you do this. Enjoy School this year. Norma. Beautiful home, but I enjoyed reading the blog entry more. Lily, you may admire Taylor for her talent, but I admire you for yours. I am a grade school teacher in Chicago and wish that all of my students had the passion and talent for learning and trying new things as you have demonstrated in this blog post. I look forward to more guest posts from you and more posts by your Mom. Good job, you have one lucky teacher this year to have a student like you! PS: I have a ShihTzu too. Her name is Coco, they are the best dogs! Hello, Miss Lily, from your Miss Barz! 🙂 What a great job! I can’t believe you started fourth grade this year. Weren’t we just practicing handwriting in Kindergarten together? I remember you writing notes at our writing center, and look at you now…writing on a website! I’m so proud of you. Have a great year in school! Keep reading and writing lots! Great Job Lilly! I am at work and reading your article made work more fun!! Hope you do more blogging in the future. Oh, and I hope your first day of school went well – my little girl starts tomorrow. ‘At a girl, Lily! I think blogging is in her genes! My girls love to help “Stage” for photos! Maybe I should let them guest blog! I love the post! Well done!! I also love Taylor Swift too! Great job Lily and thanks for showing this. Taylors house is beautiful. Great post Lily! Wow.. Like mom, like Lily 🙂 I love Taylor’s house, but it doesn’t really seem to me that this house belongs to a super beautiful young lady like her, its like a dramatic house but i love the interior.. The colors are wonderful.. Taylor’s parents must be really proud of her. beautiful house taylor bought could you give taylor fearlesses compliments. How did I miss this post, what a fantastic job you did Lily….I like Taylor too. That is the cutest pic of you and your doggie !!! I missed this post because I was in Utah for my brother’s wedding back in September. Lily did such a good job on this post, that I can see her being a great blog writer Just like her mom. I love how different Taylor Swift’s house is. Especially with all of the different colors. I hope Taylor Swift enjoys living here for a while. Do you know what address she live on? !Please I’m like her biggest fan! And very nice work Lily! Great blog post Maizie. You’re on you way to being a PRO. Taylor is pretty cool, isn’t she? how did you feed maize while its jaw was wired shut ?